Karbonn Mobiles released another low-end Tablet named “Smart Tab 7 Tornado”. 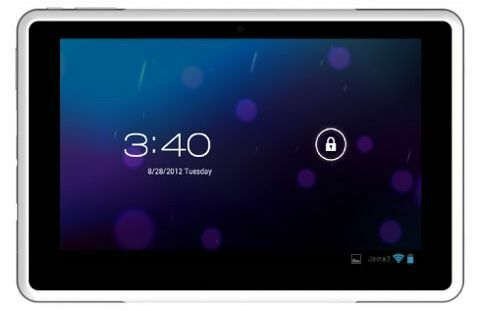 Karbonn Smart Tab 7 Tornado has 1.2 GHz Cortex A9 processor, 7-inch Display with 800 x 400px resolution, 2 MP Front camera and it runs on Android 4.0 Ice Cream Sandwich. The tablet has Wi-Fi and 3G support through USB Dongle. The memory can be expandable to 32 GB through MicroSD. 3700 mAh Battery will power this device and gives you 25 hrs. of Music playback, 8 hrs. of Video playback and 7hrs of Wi-Fi browsing. To keep the Indian audience in mind, tablet is loaded with some apps such as JustDial, TOI, Economic Times app, Saavn, Ibibo, Hungama MyPlay and Angry Birds.